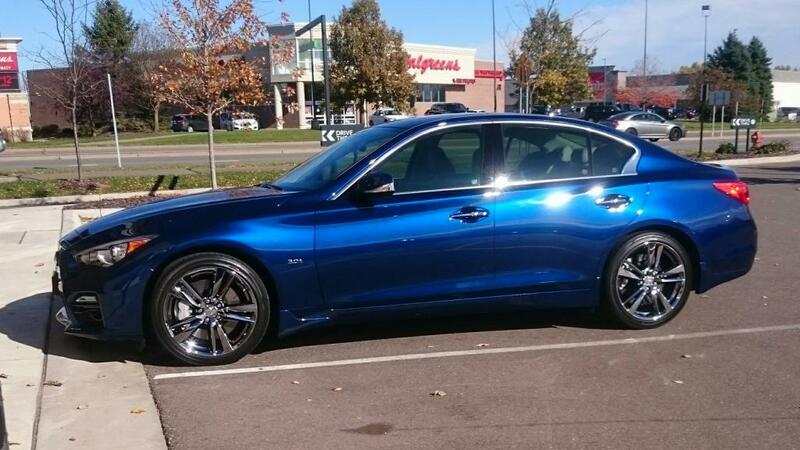 Just purchased new Q50S and love it. Looking to upgrade to the bright 5 spoke wheels. Any feedback from current owners with the bright wheels? Is it worth it? Is anyone interested with current wheels on the vehicle? Are you talking about these wheels? Pillboy and akuhn235 like this. Yes, the wheels look awesome! The wheels are black chrome and are made by Enkei. They look great on darker color vehicles. There have been some reports of the finish degrading and flaking off, but I haven't experience anything like that. I only use those wheels in the summer and I'm pretty OCD about keeping my car clean and protected. Do a search for "black chrome" and you'll likely find some threads that you can read thru. 3 Attachment(s) New Shoes for my RS.